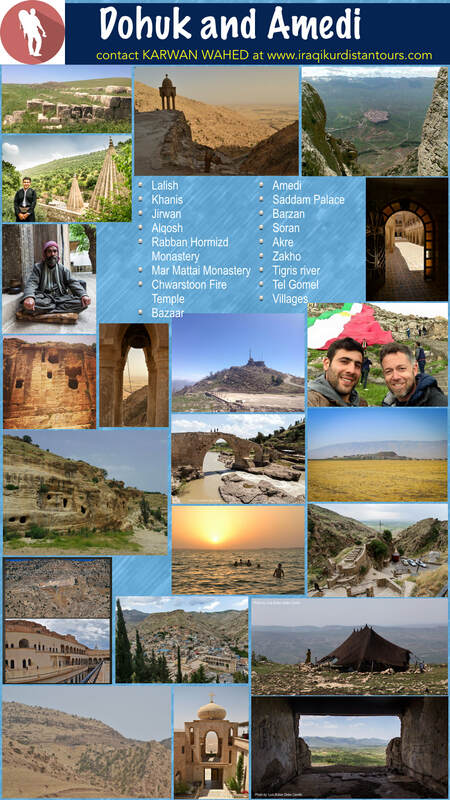 I offer personalized and guided tours in Iraqi Kurdistan's three major cities. ​Pls see places of interest and itineraries below. I offer a range of transport to cater for your needs. Erbil, the ancient city of Arbella. 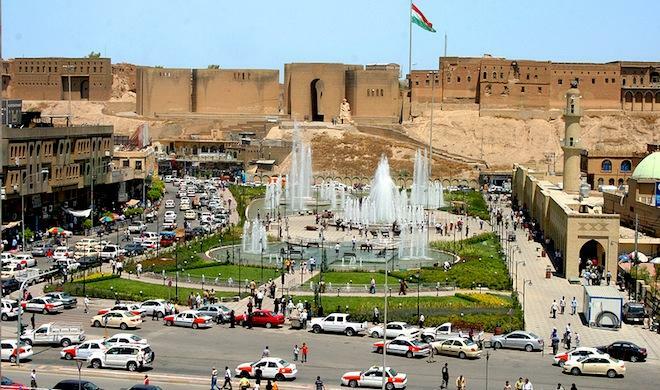 Erbil is home to one of the world's oldest continuously inhabited places on earth- the Citadel. 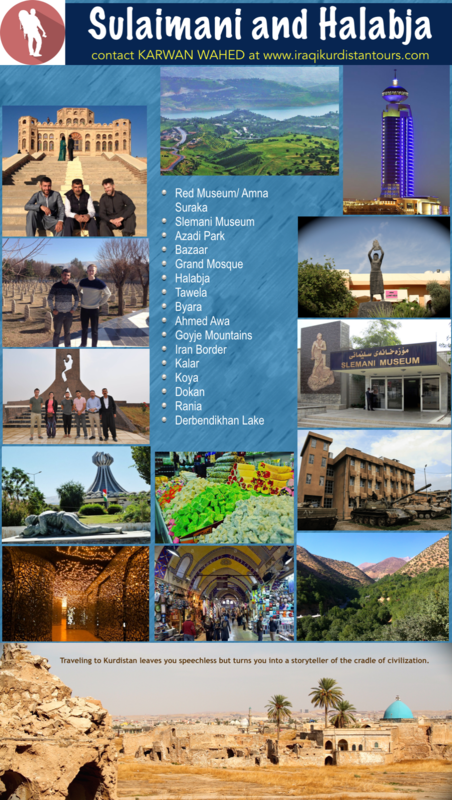 In this tour, you will be able to see the famous Erbil Citadel, bazaar, grand mosque, Textile Museum, Erbil Civilizations museum, Syriac Heritage Museum, Ainkawa district, Minaret Park, Shanidar Park, Sami Abdulrahman Park and Iskan street at night. Jalil Khayat Mosque. 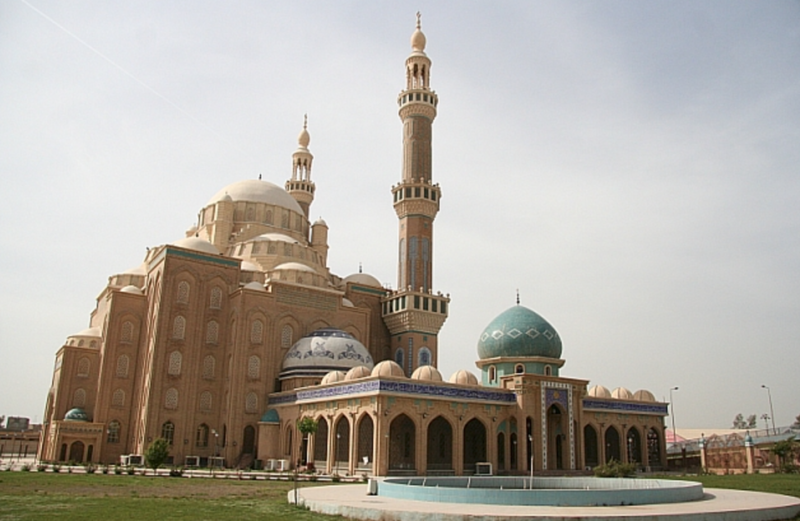 The Jalil Khayat Mosque is the largest mosque in Erbil, Iraqi Kurdistan. It was completed in 2007 and was begun by Jalil Khayat. Khayat died in 2005 and the mosque was completed by his sons in his memory. The mosque's style resembles the Mosque of Muhammad Ali in Cairo and the Blue mosque in Istanbul. Khanzad Castle is situated 22 km from Erbil, on the road between Erbil and Shaqlawa. Constructed during the Soran Emirate in the 16th century under the rule of Princess Khanzad and her brother Prince Suleiman Beg, the citadel is about 40m tall and sits on top of a small hill. The castle has kept much of its original shape and has four round towers at each of its four corners; made of stones and gypsum,. Rawanduz is perhaps one of the most famous general areas in the region. 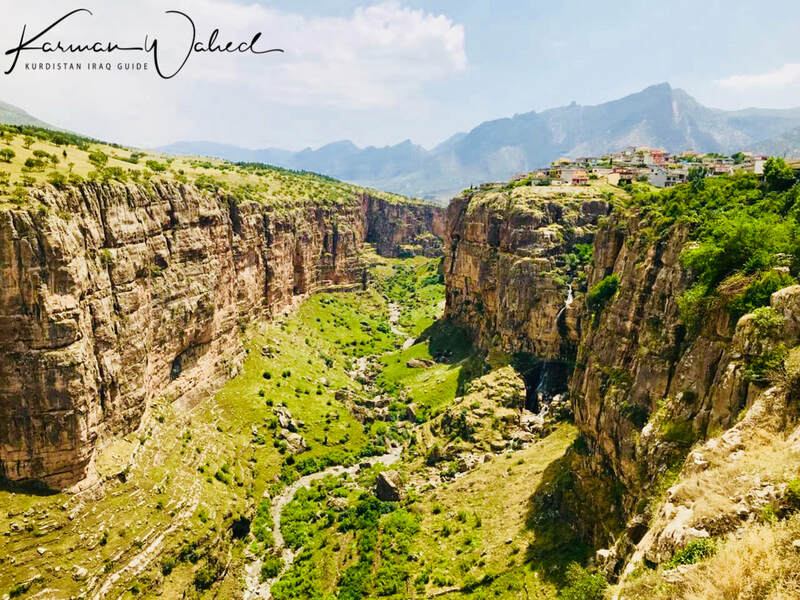 Surrounded by majestic and ruggedly beautiful mountains and waterfalls, it holds the deepest gorge in the entire Middle East. It was known as the long time capital of the Soran Emirate. In the early 1920s the British occupied the environs of Rawanduz. Gali Ali Beg. 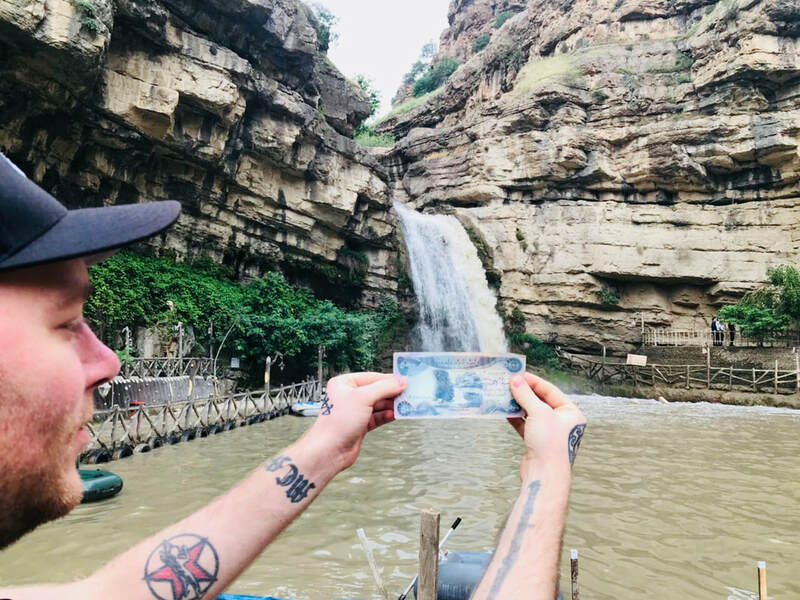 An hour and 45 minutes northeast of Erbil, this is the most popular waterfall in the Kurdistan Region. It is featured in the 5,000 Iraqi Dinar note. 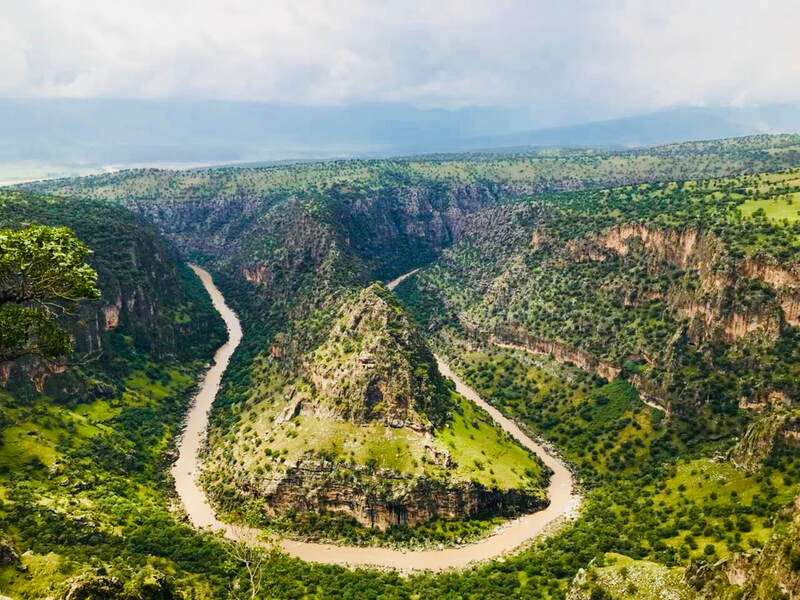 It is fed by the Rawanduz River and it is in the middle of the canyon and flows non-stop year-round. Halgurd Mountains. Halgurd Sakran National Park is the first official national park in the mountains of Kurdistan, and in fact the whole of Iraq. The mountain is located among the districts of Galala, Haji Omaran, Roost and Sidakan. The peak is covered with snow throughout the whole year and is a popular destination for hikers and ski enthusiasts. Iran is only 2.5 kilometers away. Shanidar or Neanderthal Caves. This cave sits on Bradost mountain and is easily accessible. 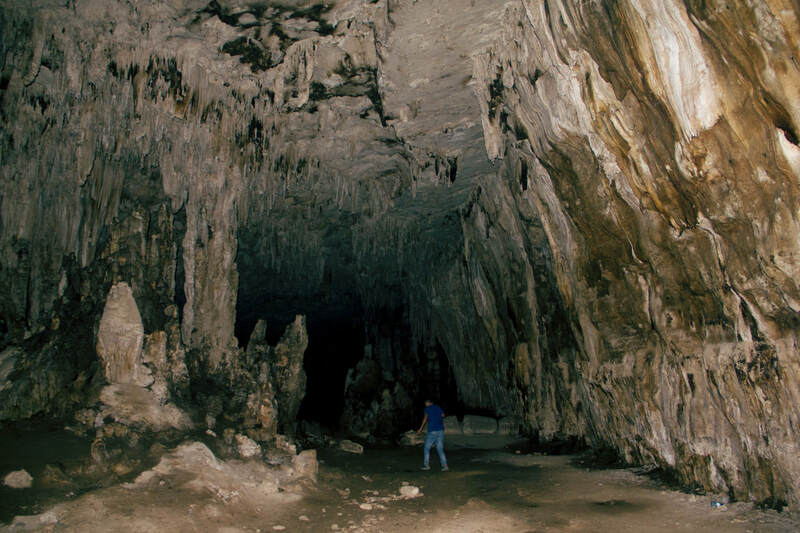 It is one of the largest and most important caves in all of Iraq due to its historical significance- one of the most important in the world. Scholars date its settlement to be between 40,000- 60,000 BC. It includes remains from the Stone Age, Paleolithic, and Neolithic Ages. The cave ultimately revealed two pre-historic cemeteries together containing ten individuals. This has opened more investigations on the social behaviours of the Neanderthals. Bestoon Cave. Discovered in 1951, this prehistoric cave dates back to the pre-historic Stone Age, and Neanderthal Ages. Evidence of Neanderthals were found here along with countless shards of ancient pottery- much of which still lies openly in the cavern floor. Korek Mountain Resort. The mountain resort offers a breath taking panoramic view of rolling mountains. It is a popular destination during winter as snow could get as much as 2 meters in the winter months. It is a ski destination for locals and international ski enthusiasts. Gomi Felaw. 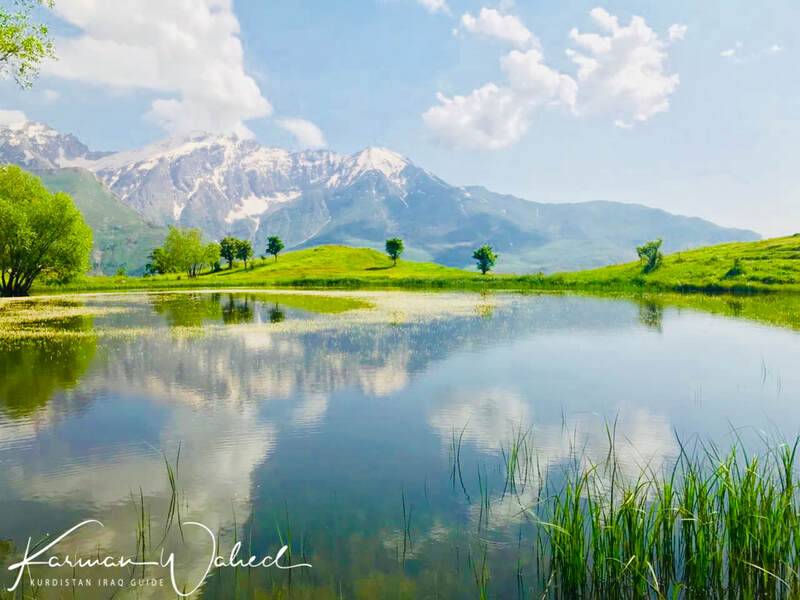 In the beautiful natural landscapes of Choman, one will find this small lake with an amazing view of the snow-capped mountains from a distance. Barzan landscape. Barzan is 152 km or two hours north of Erbil. 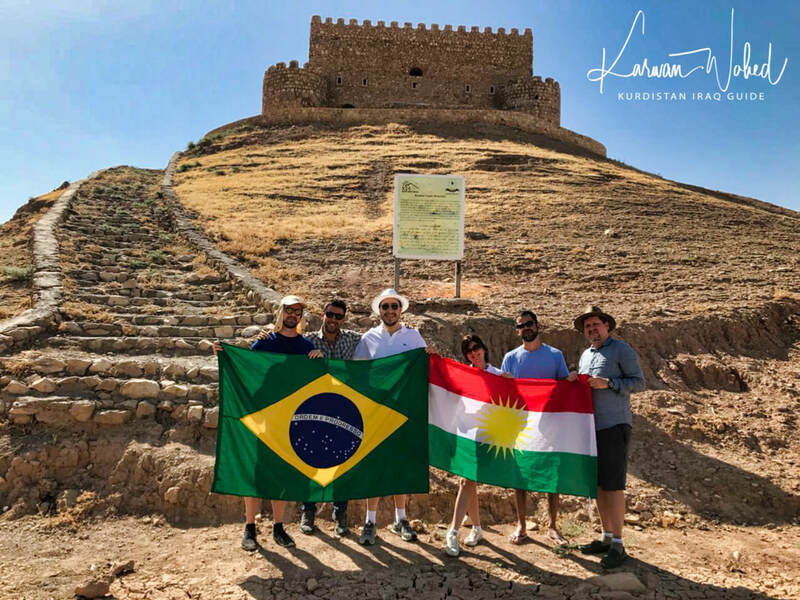 The town is located along the great Zab in Erbil Governorate and is well known as the birthplace of Sheikh Ahmed Barzani. Barzan is considered the ancestral home of the Barzani tribe. The region is renowned for its sheer beauty. Akre. 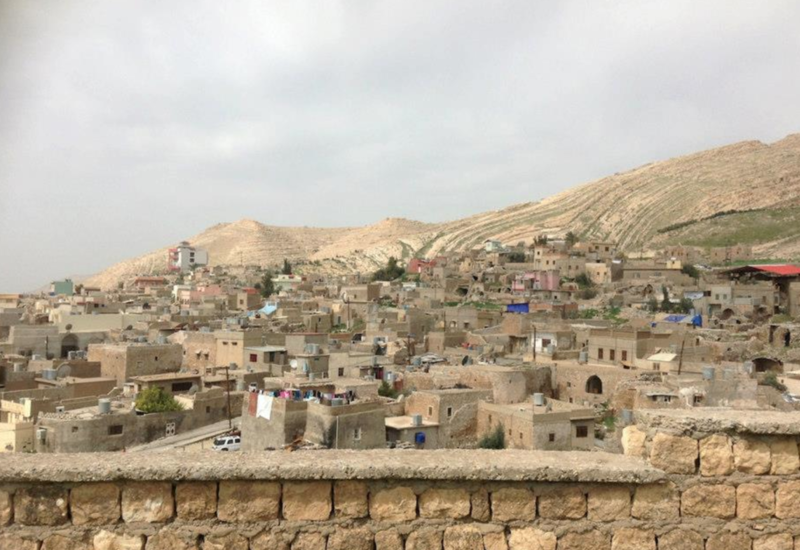 Akre is also known as Akra or Aqra. Though Akre is an ancient city, the modern town was formed in 1877 by the Ottoman Empire. 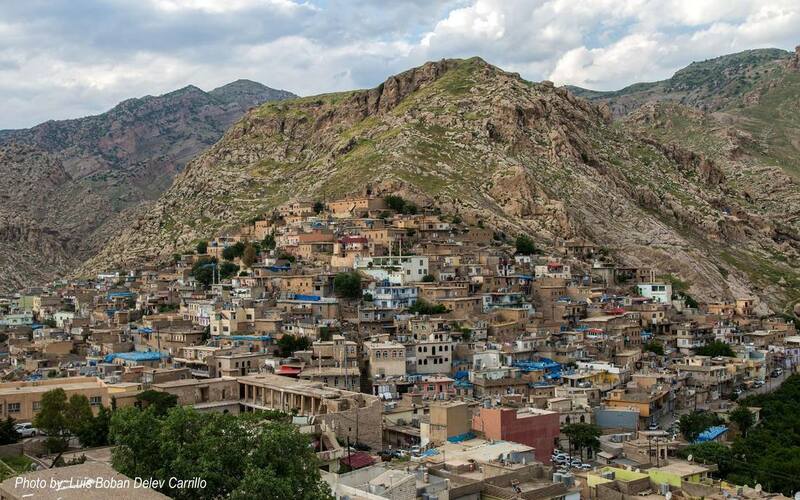 Akre dates back at least 580 BC in the time of the Kurdish Prince Zand. It is rich in historical sites such as temples, statues, ancient buildings and many mineral springs. It is considered among one of the oldest cities in history, dating to the Cretaceous period. 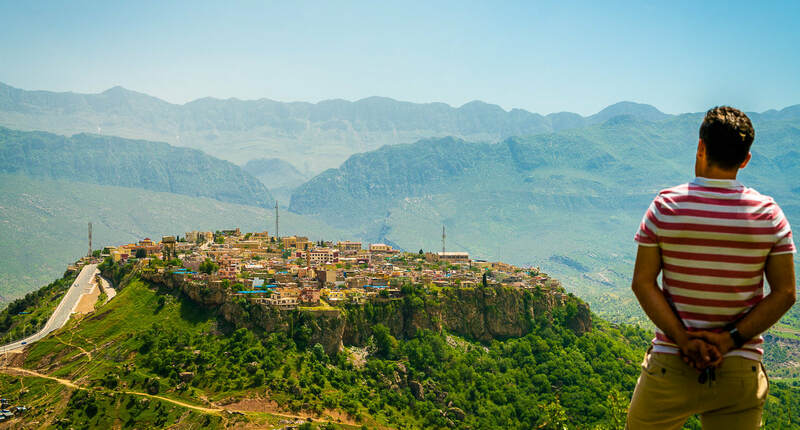 Some claim Akre emerged as far back as 700 BC as a settlement by Prince Zeid who named it Akre, derived from the Kurdish word fire. The town is strongly connected with fire dating back to the Zoroastrian faith. The town is very famous during the Newroz festival. Lalish. 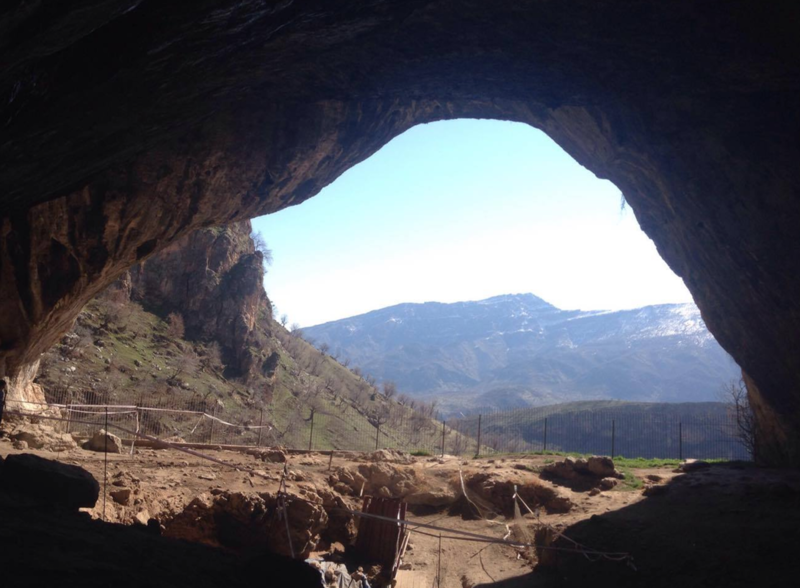 Lalish is one fo the most unique destinations in the entire Kurdistan Region. It is a cultural and religious experience, as well as a place of calming, serenity and beauty. This small mountain is the holiest place for the Yezidi community. It is the resting place for some of the most important figures in the Yezidi faith such as Sheik Adi. The entire village is sacred and one must be barefoot and wear only socks when entering the village. 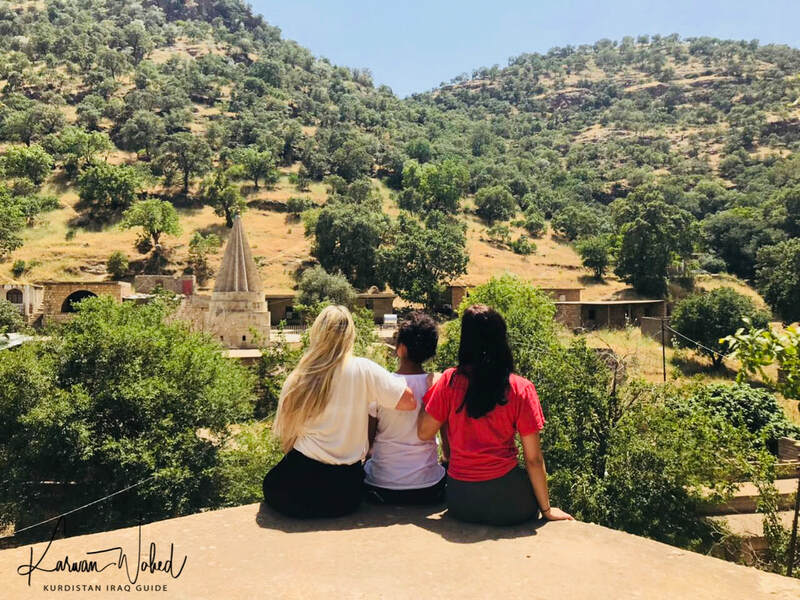 Yezidi's believe Lalish is where Noah's Ark rested after the great flood and life began anew and every year thousands of Yezidis journey to Lalish to drink the holy spring water flowing throughout the village. Saddam Palace Ruins. 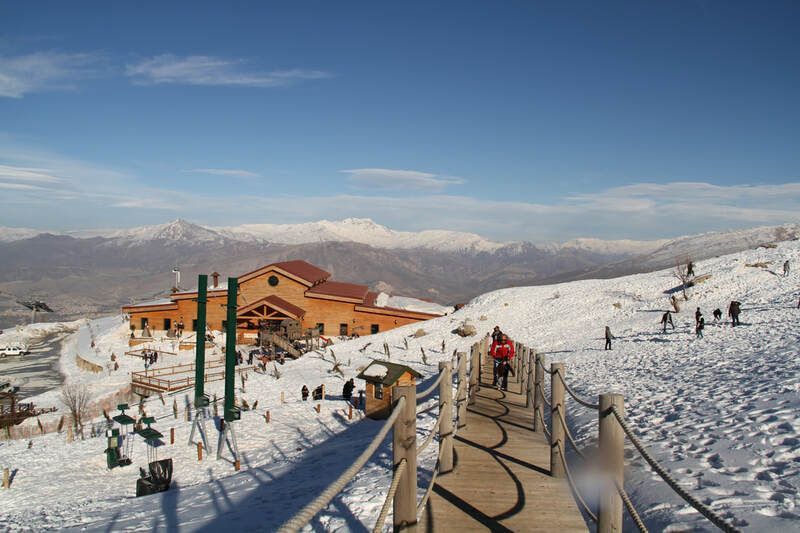 The magnificent Gara Mountains is a perfect spot for a summer resort. 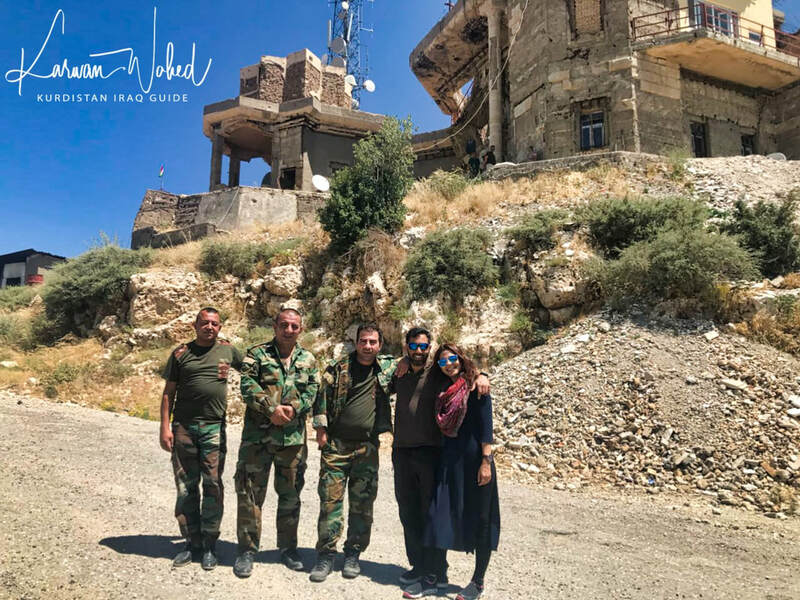 Saddam enjoyed this area and built a palace, now largely destroyed, on top of the mountain as part of a complex of ten palaces to be located throughout the valley. Several were completed before the Gulf War. Italian and other international craftsmen were used to complete the work with only the finest stone and marble used. Saddam often hosted dignitaries and even movie stars at this palace. After the uprising, locals took most of the building apart, brick by brick. Almost nothing remains of the palaces today. Delal Bridge. Located in the northern most part of Kurdistan is Zakho, an ancient city which was an important trading city during the Greek Empire. 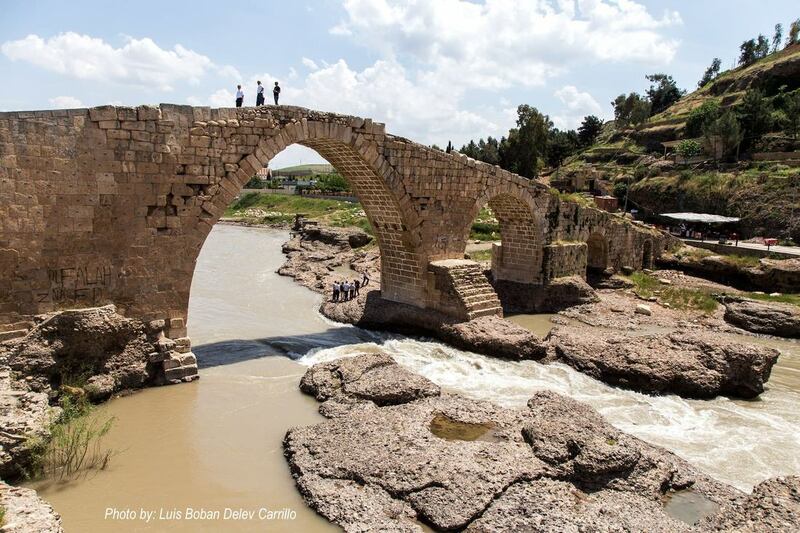 The most famous site in Zakho is the Delal Bridge. It is an ancient bridge over the Khabur river. No one knows when it was built but it was believed that it was built during the Roman era. Mar Mattai (St. Matthews) Monastery. 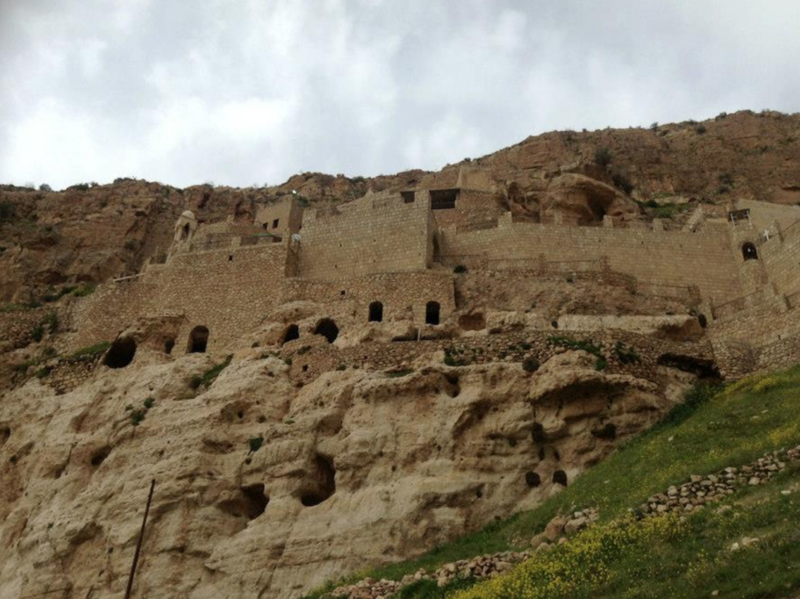 The monastery is perhaps the most ancient religious institution in Iraq. Scholars recognize this monastery as one of the oldest Christian monasteries in existence anywhere in the world. 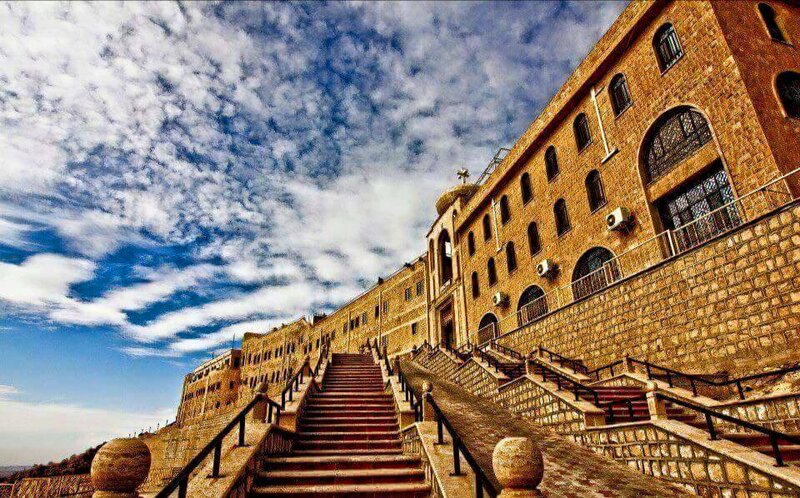 The monastery is traditionally thought to have been commissioned by Assyrian King Sinharib (Senharib). It is one of the oldest functioning monasteries in all of Mesopotamia and holds the final resting place of many Syriac Orthodox patriarchs. It was founded in 363 AD by Mar Mattai who became a hermit after he fled persecution. It has become a Christian sanctuary for more than 2000 years. Rabban Hormizd Monastery. This monastery is one of the most important religious sites in Kurdistan and an ancient monastery of the Chaldean Chruch. 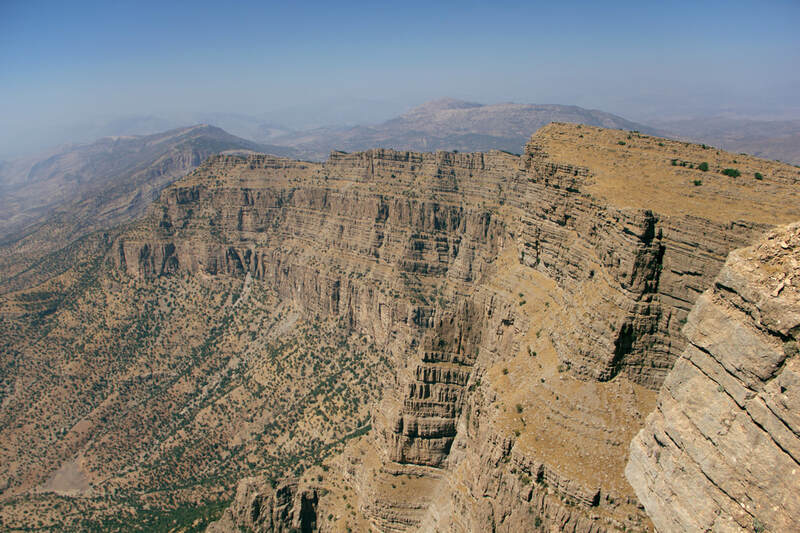 It is carved out of the mountains about two miles from Alqosh. Founded in approximately 640 AD, it was named after Rabban Hormizd who founded it in the seventh century. There are numerous caves surrounding the monastery where it is said as many as 600 monks once lived. It can be reached by climbing 150 steps. 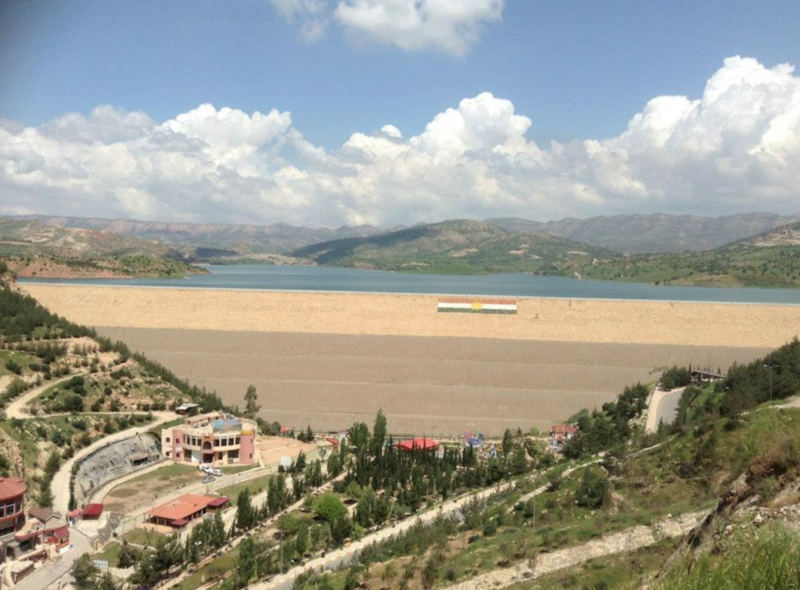 Dohuk Dam. 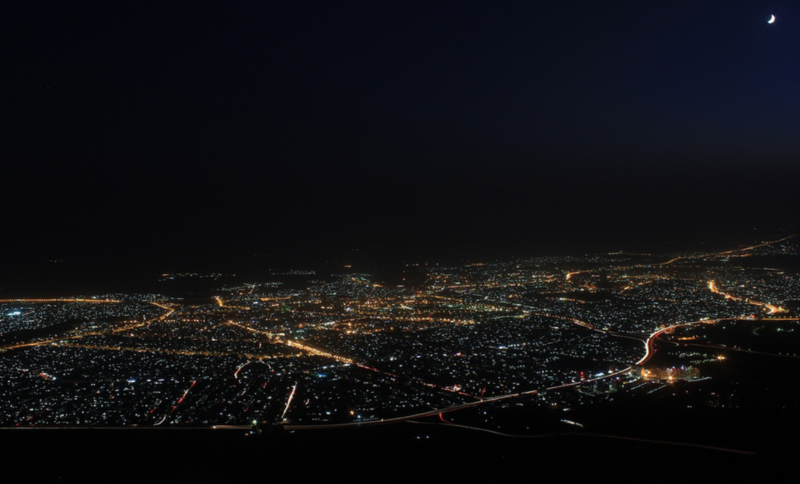 One of the main draws of the city is the large Dohuk Dam which is in the northern tip of the city. Many people come here for picnic, watch the water tucked between the mountains, and others come and sit and eat and smoke 'nargilah' nearby as they people watch. The best view is atop the mountain where the Fire Temple is. 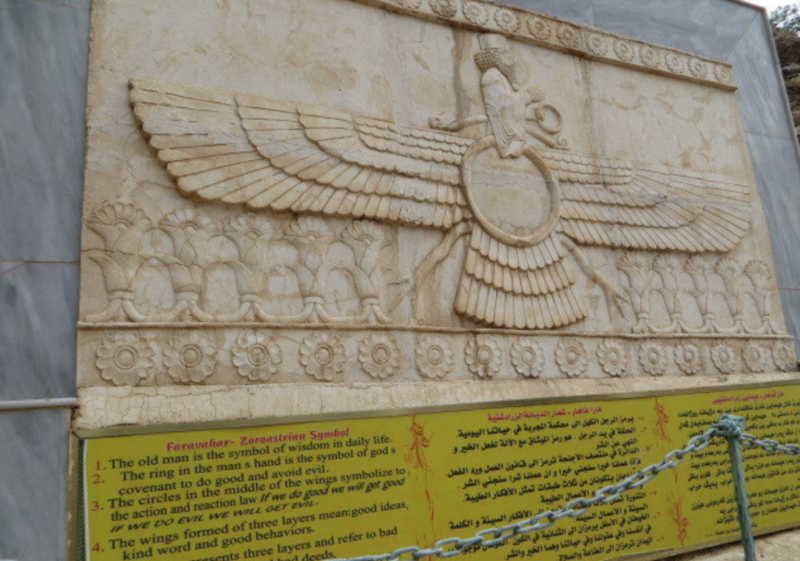 Zoroastrian Fire Temple. The temple is believed to be the most complete to have been unearthed in the region. It is also said that it was a Mithraist temple. The temple was dedicated to the Zoroastrian deity Anahita, indicated by the discovery of Anahita's emblem, and a fire-alter at the heart of the temple. Alqosh. Alqōsh is an Assyrian town in northern Iraq and is within Nineveh Plains. Alqosh is primarily inhabited by ethnic Assyrians of the Chaldean Catholic Church and who speak the Chaldean Neo-Aramaic language. Since its establishment, Alqosh was a place for worship, either for the Sumerian/Assyrian god Seen, who was also worshiped at Ur. 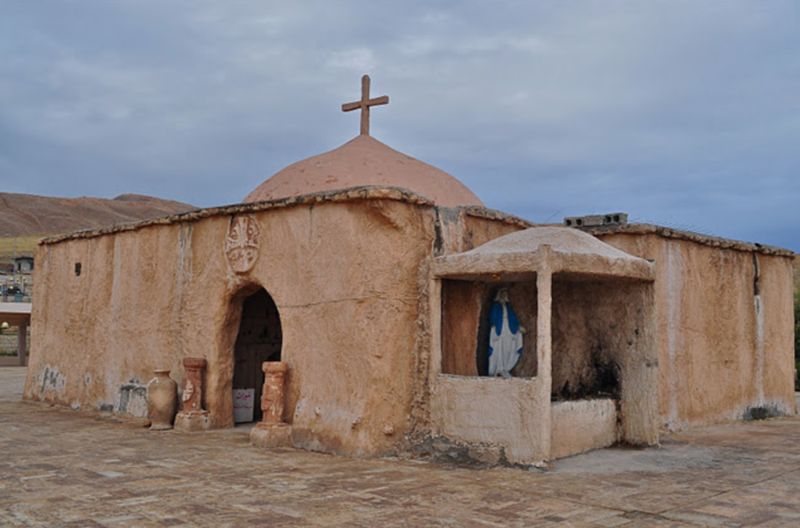 The ancient synagogue in Alqosh reportedly contains the tomb of the prophet Nahum, who correctly prophesied the end of the Assyrian Empire, although Nahum's bones have been relocated to a nearby church. It was common for Iraqi Jews to make a pilgrimage to Alqosh during Shavuot. Khanis (King Sennacherib Resort). 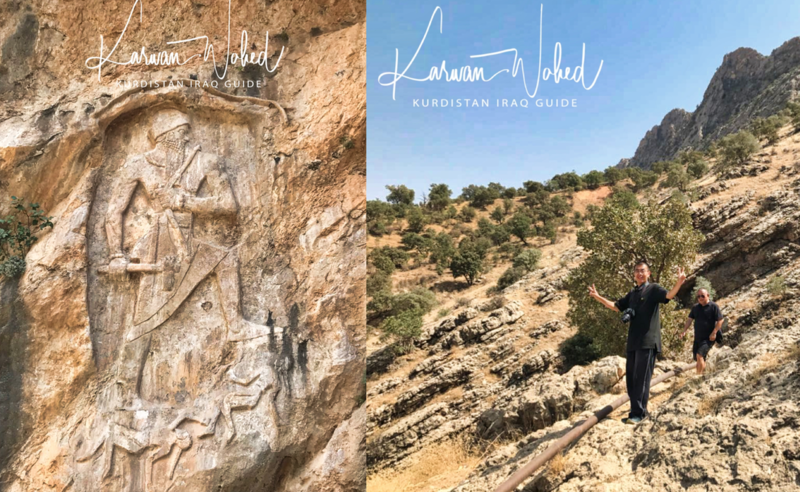 This archeological site, somewhat protected by the KRG and Ministry of Antiquities, is part of an ancient Assyrian irrigation system built by Sennacherib over 2,500 years ago. It linked the palace of Sennacherib in Nineveh to sources of waters in the mountains of Kurdistan. 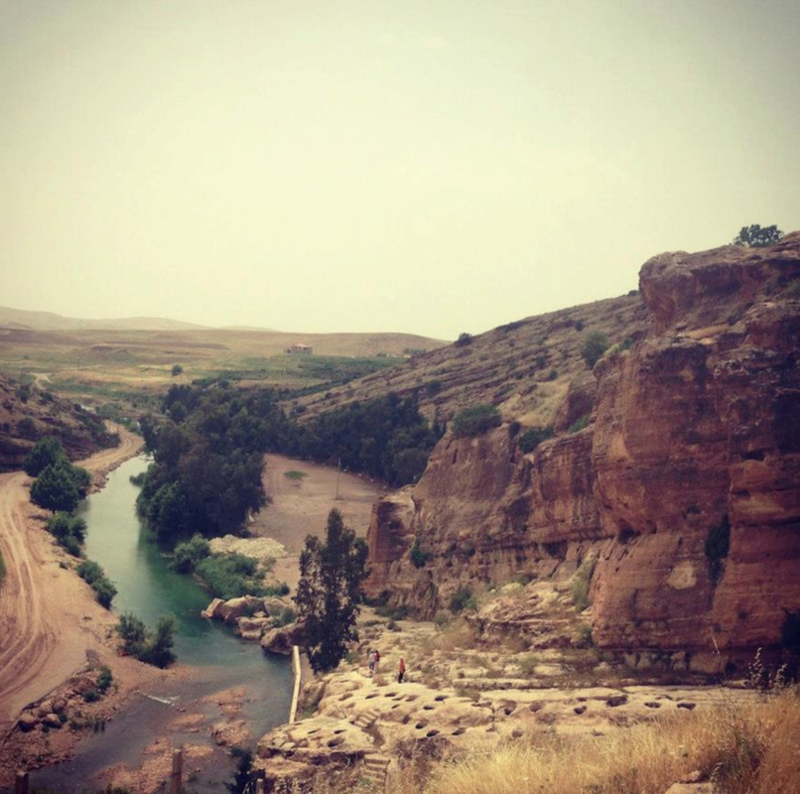 This system also provided water to farmers in Nineveh even in the dry, scorching summer. The site holds several intricate carvings and reliefs, dating back 704- 681 BC. One has to see the place to admire the wonders of ancient civilization. ​Jirwana. 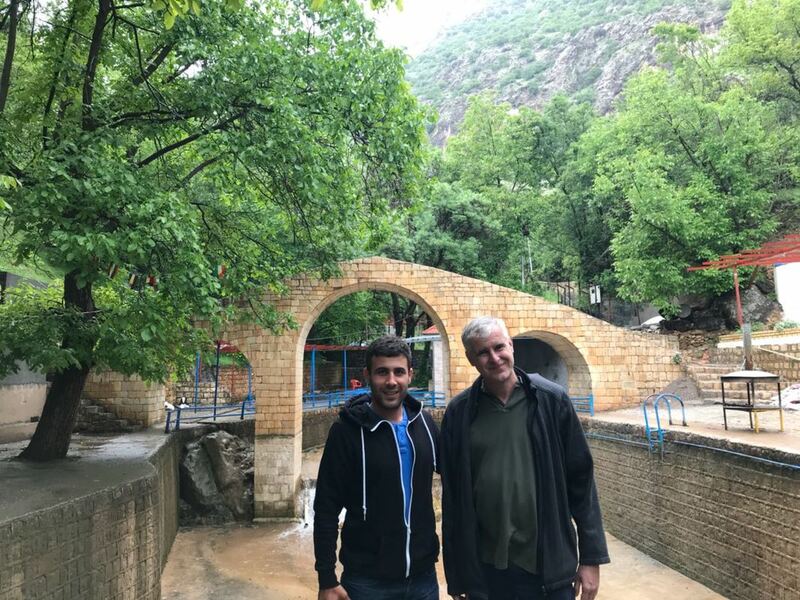 Also known as Jerwan and Jirwan, Sennecherib's aqueduct is an impressive structure with intricate cuneiform on the side. The aqueduct carried water across a shallow valley between two hills. Jirwana is one of the oldest aqueduct and bridge ruin in the world. It is over 2,700 years old, built by the Assyrian Emperor Sennacherib. Many scholars now believe the legends referring to the Hanging Gardens of Babylon were actually Sennacheribs' extensive gardens in Nineveh and were not located in Babylon at all. So could it be that this aqueduct watered the Hanging Gardens? Visit this place and witness the mystery behind it. Gali Shiran. This beautiful river in the mountains is a natural aqueduct. 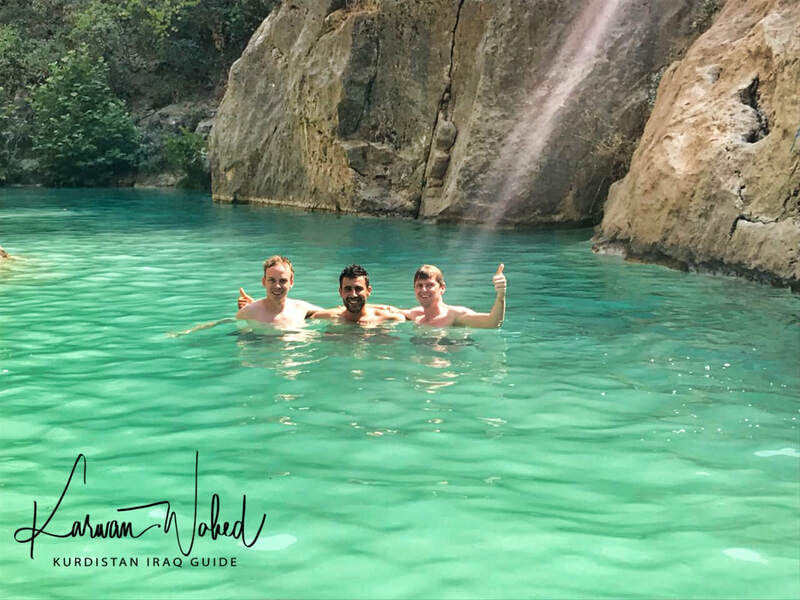 It offers a refreshing dip for locals and foreigners who love fresh water. This is a must for nature lovers. 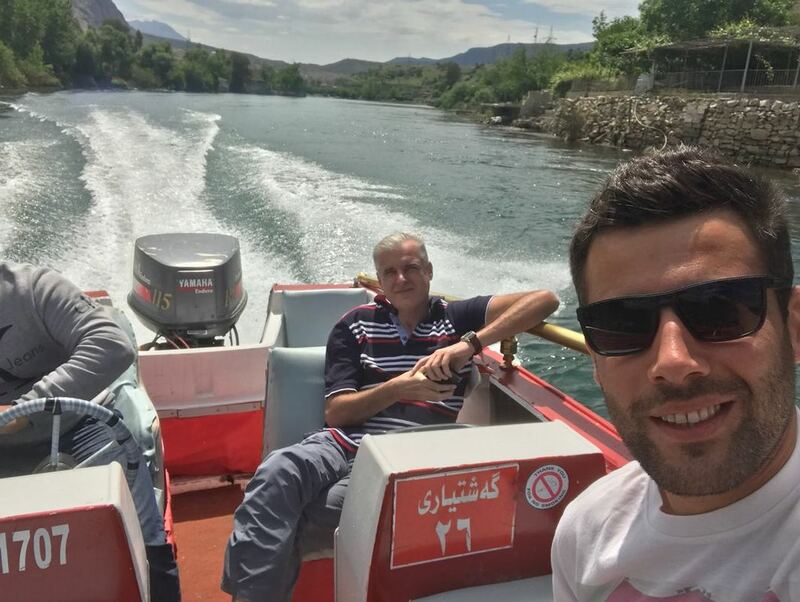 Dukan Lake. 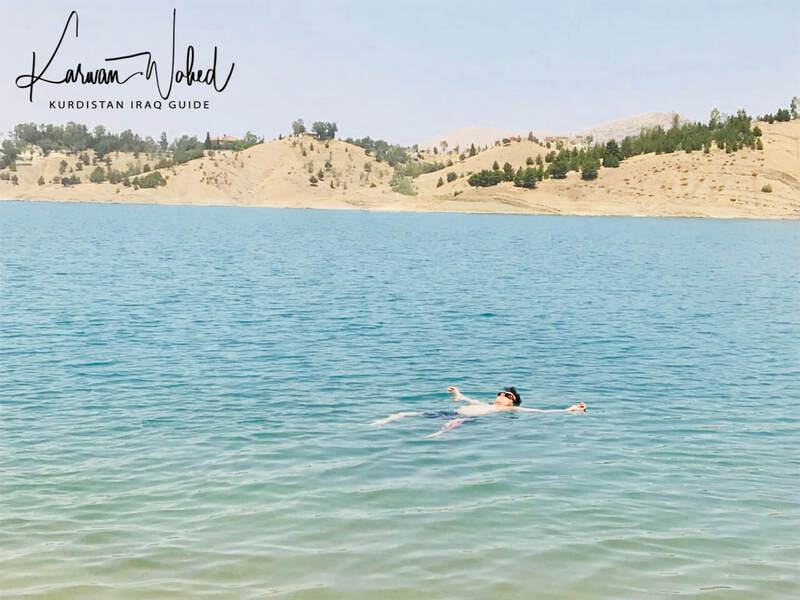 This lake is the largest lake in the Kurdistan region. The Dukan Dam was built between 1954 and 1959 as a multi-purpose dam to provide water storage, irrigation and hydro-electricity. Prior to the flooding of the Lake Dukan, the area was replete with archeological sites. 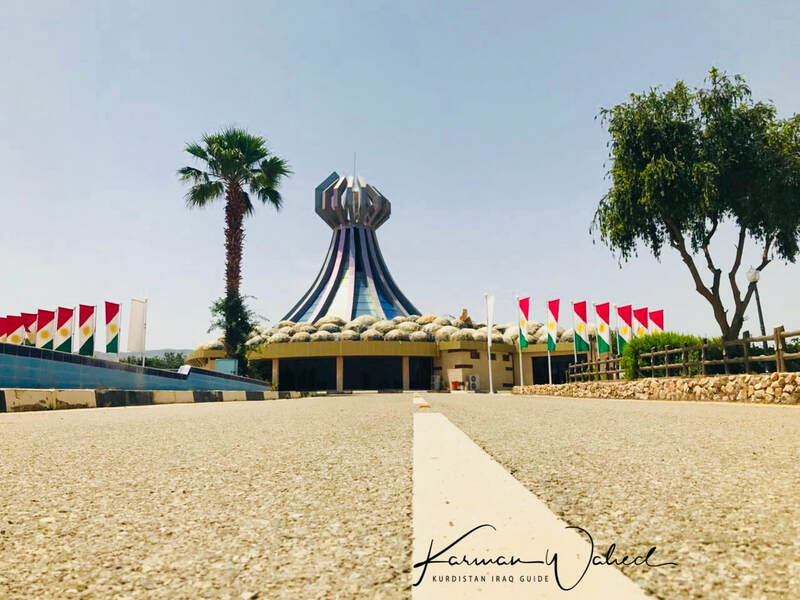 Halabja. 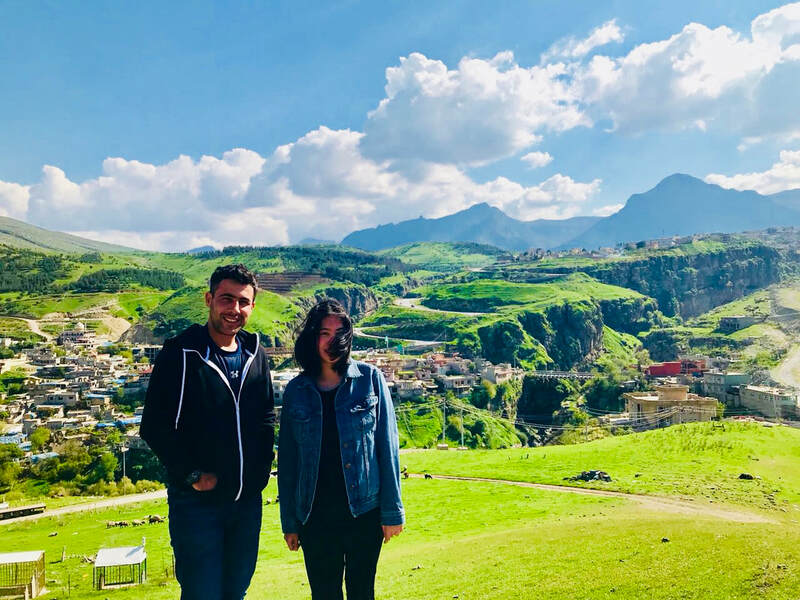 Halabja is a very ancient town, dating back to the Lullubi era. Little is know about them. It is believed that the ancient city of Khar-Khar is today's Halabja. Halabja suffered from the chemical attacks against the Kurds where thousands of people died. Up until today, people visit Halabja to remember the importance of peace in today's world. Amna Suraka/ Red Prison. The prison is also known as the Red Intelligence Museum and is located in the former Ba'ath intelligence headquarters of Sulaymani prison and intelligence services. It focuses on the former regime's brutality and oppression of Kurds. 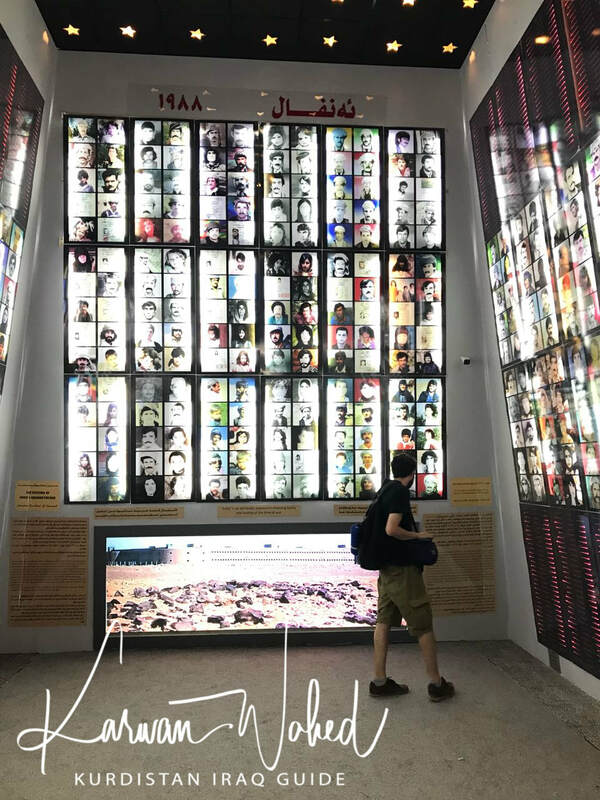 An interesting exhibit, the Hall of Mirrors, which is a long and narrow hallway lined by 182,000 shards of mirrored glass represents the number of people who were killed or 'disappeared' by Saddam during An-fal. Koya. This town is also known as Koy-Sinjaq. 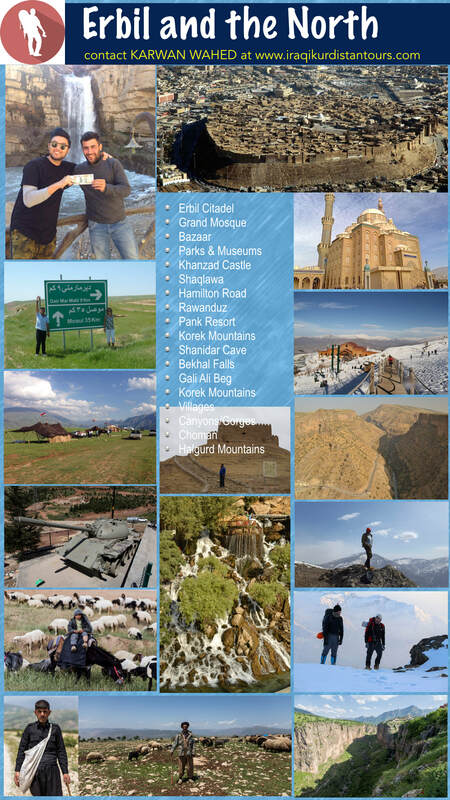 It is 81 kms from Erbil. Pressed up on a jagged hill adjacent to a vast valley, surrounded by the Bawaji and Haibat mountains, the town is somewhat of a hidden gem. Historians believe that Koya enjoyed great prestige under the Assyrian and Mede Empires. The city is famous for its mosques, which were often centers for studies of sciences and arts. Located downtown in the city souk- the 18th century caravanserai was used by travelers for centuries. 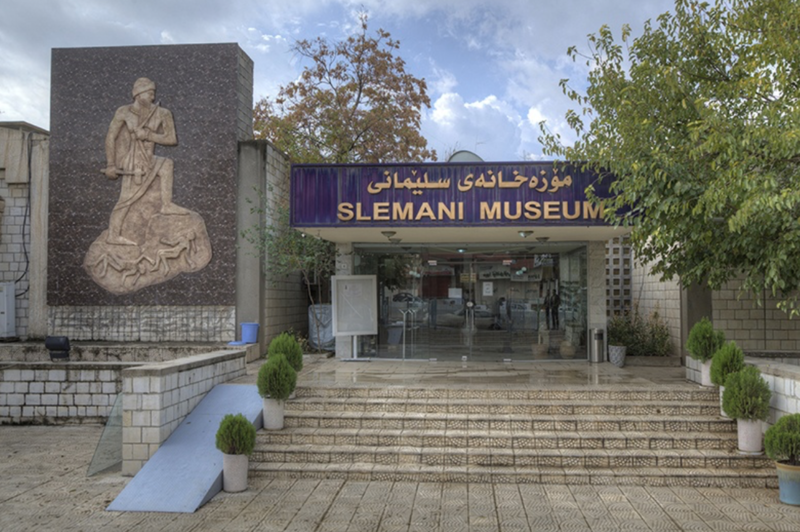 Slemani Museum. In the center of the city of the Slemani Museum. 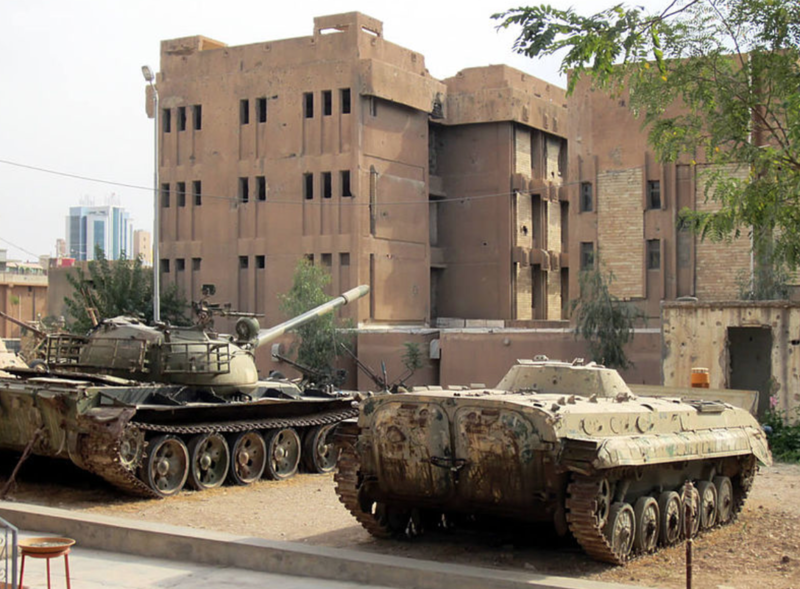 This museum is the second largest in Iraq after the National Museum in Baghdad. It houses many Kurdish and ancient Persian artifacts dating back to 1792- 1750 BC. Thousands of ancient artifacts bring visitors to view history dating to Paleolithic times. This is a must see when visiting the city. Ahmad Awa. 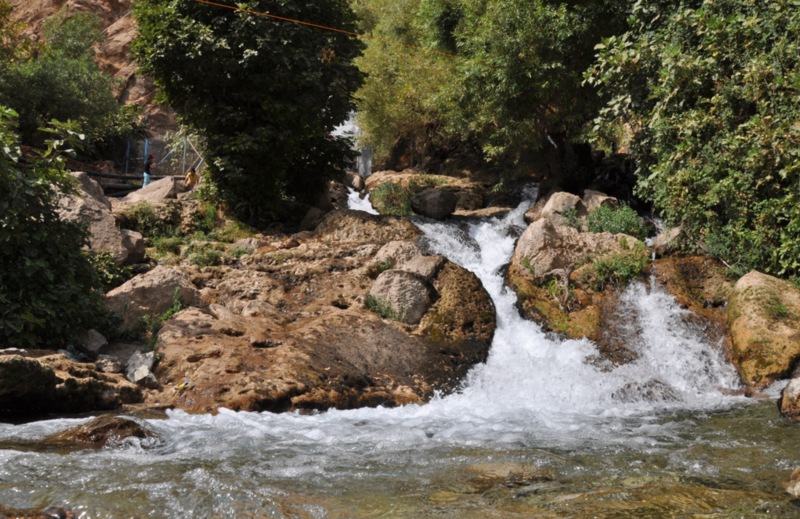 This beautiful waterfall is 30 km away from Halabja. It is close to the town of Kurmal in the mountainous Hawraman region of Kurdistan which stretches into Iranian Kurdistan. Sulaimaniya Bazaar. 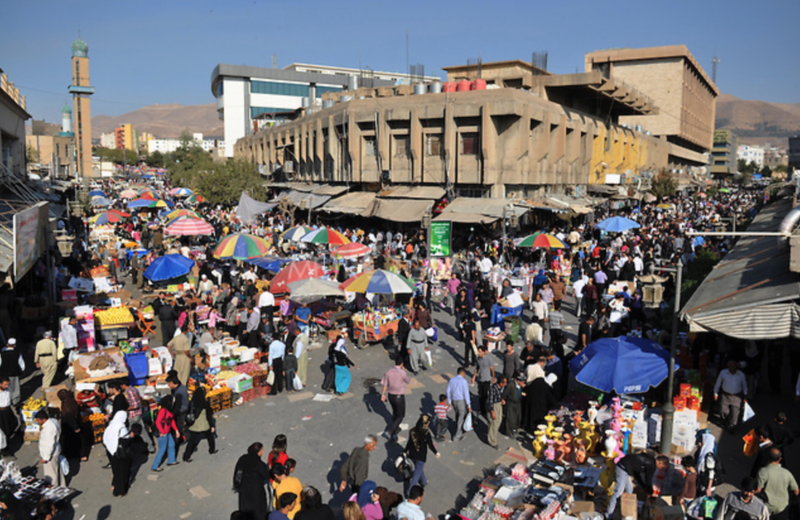 This bazaar is the largest market in the Kurdistan Region. It includes traditional shops and stalls as well as street vendors. It's a great place to enjoy the traditional Middle Eastern bazaar where one can find anything from handcrafted gold jewelry to indigenous sweets, carpets and artwork created in this city renowned for its artists and poets. Archeoloogical site. Tucked in the mountains near Sulaimani are numerous archeological sites, some still unknown to locals. The ancient relief shows a fighting king holding an axe and a bow. It appears to be a local king and dates back to the beginning of the 2nd millennium BC. A must visit for those who love ancient history. Goyje Mountains. 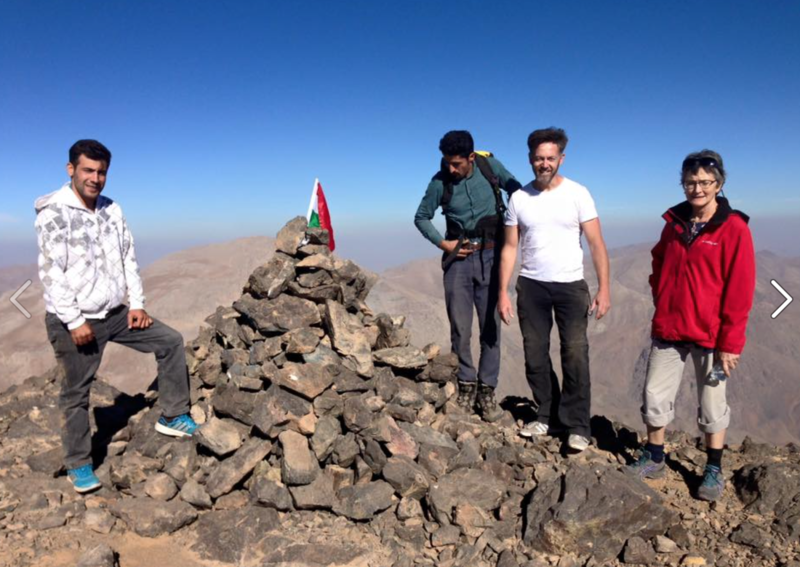 Sulaimaniya's panoramic view can be seen from the Goyje mountains. It's a must to be here at either sunrise or sunset to fully enjoy the view. Azadi Park. Originally the site of a military base during the Ba'ath regime, after the 1991 uprising, it was transformed into a public park. Amedi. Also known as Amediya and Amadi, this ancient town is perched atop a plateau which some refer to as the city in the sky. The city's history dates back to the Assyrian Empire. The town is small, and currently has a population of 10,000. It is fed by a geothermal spring originating far below the mountain. 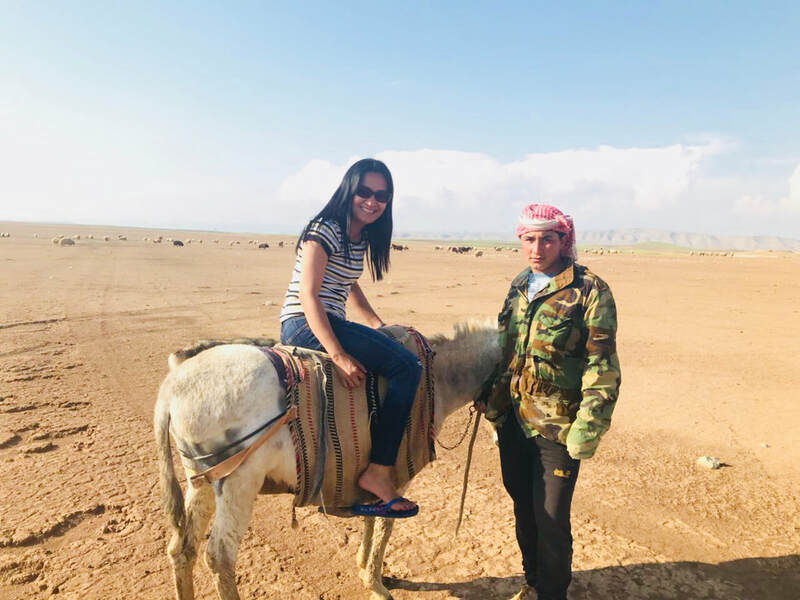 Being atop a plateau, it made it almost impossible to successfully siege the city as long as there were sufficient supplies of food stored which was the case in ancient times. Some scholars and local folklore claim that this area is where the Biblical Magi (Three Wise Men) observed the star in the sky prompting their famous pilgrimage to Bethlehem. The eastern Bahdinan Gate, the Amediye Mosque and some churches are some of the historical attractions in this town.